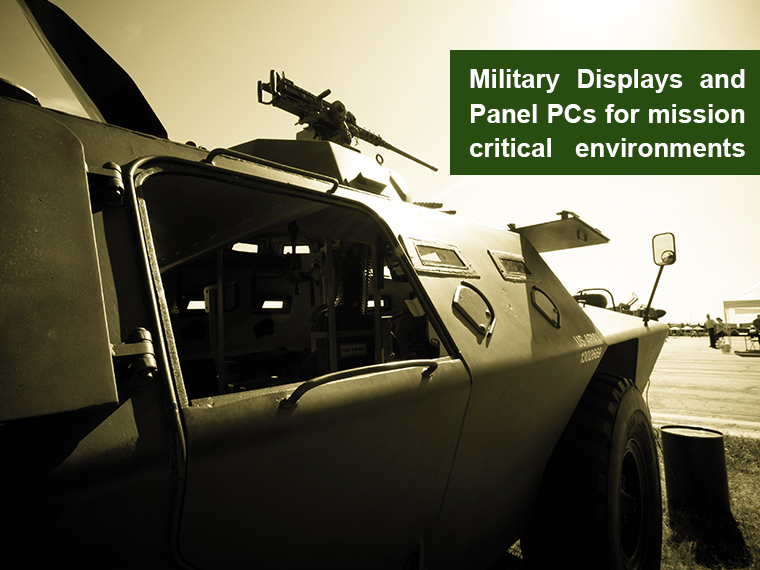 Winmate's Military Series of panel PCs and displays are designed to be industrial grade, and undergo rigorous testing to ensure safety and performance, going beyond military standard compliance. Built to survive drops, shocks, liquid spills, vibrations, dust, salt, and extreme temperatures, our specially designed military line of products has been tested for MIL-STD-810G environmental and MIL-STD 461F EMC standards. Our panel PCs and displays also come with MIL-DTL-38999 type I and III connectors – high-performance cylindrical connectors for cable-to-panel I/O applications in military, air traffic controller, or other mission-critical situations. No matter where your mission brings you, Winmate’s military solutions will be reliable in helping to complete the task at hand. To ensure our clients on military grade product compliance, Winmate has in house facilities to do testing on MIL-STD-461F and MIL-STD 810G. For MIL-STD 810G compliance, Winmate tests the product against extreme environmental conditions (temperature, shock, vibration, humidity). For MIL-STD 461F compliance, detailed testing specification ensures that the product meets the requirements for the control of electromagnetic interference.